Seventy leading galleries from around the globe participated in the fourth edition of West Bund Art & Design Fair for 2017. Many of them have been instrumental to the success of the event since its founding in 2014. Additionally, the newly launched TALENT sector will present works by emerging artists in a series of solo exhibitions or specially curated group shows. 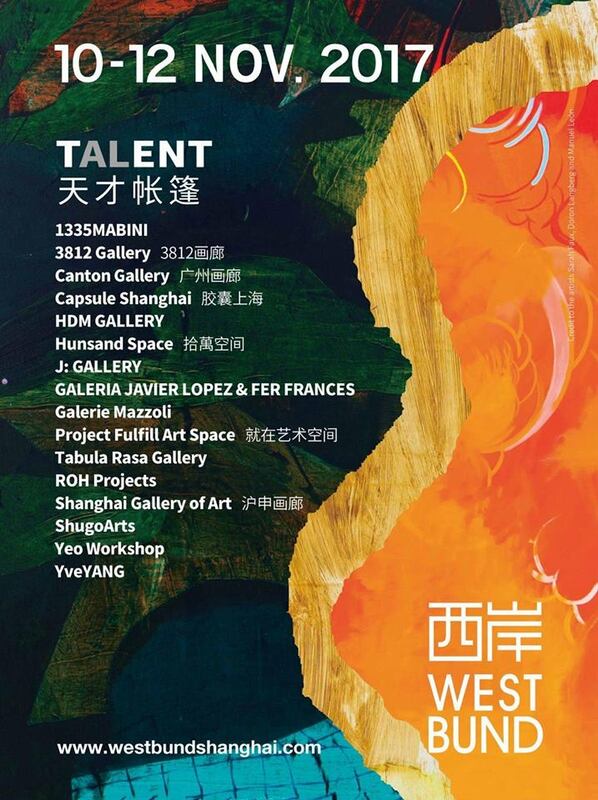 1335MABINI featured works by Buen Calubayan (PH) and Hu Yun (CN) for the TALENT sector of the fair. Buen Calubayan's (b.1980) artistic inquiry involves finding the self and locating it within a larger world where it belongs. The task is carried on with his timeline of artistic practice (Vanishing Point, since 2008) as well as the formulation of a diagram (Instructions on Viewing the Landscape, since 2015) that attempts to discuss notions of the horizon, access, and location.Recently, he finished a residency at the NTU CCA Singapore where he continued his research on the works of the 19th century Filipino painters. This investigation reveals the mechanisms of framing, art historiography, and archiving, among other things. He studied fine arts at University of Santo Tomas. Hu Yun (b.1986) currently based in Belgrade and Shanghai. In his practice, Hu Yun revisits historical moments in order to provide alternative readings, a process that also informs the artist’s self-reflection on his native and personal ties.His selected solo exhibitions include Up to the Sky (Magician Space, Beijing , 2010); Image of Nature ( Natural History Museum, London, 2010); Our Ancestors (Goethe Institut, Shanghai, 2012); Lift with Care (AIKE DELLARCO Gallery，Shanghai, 2013) and Narration Sickness (AIKE DELLARCO Gallery，Shanghai, 2016). His works have also been exhibited at the Power Station of Art (Shanghai), Centre Pompidou (Paris) and Times Museum (Guangzhou). Hu Yun has participated in the 7th Shenzhen Sculpture Biennale (2012), 4th Guangzhou Triennial (2012) and 11th Gwangju Biennale(2016).He is the co-founder of art e-journal PDF.